It has smelled and looked delicious for the past three months. Now, it’s finally time to get a free taste. 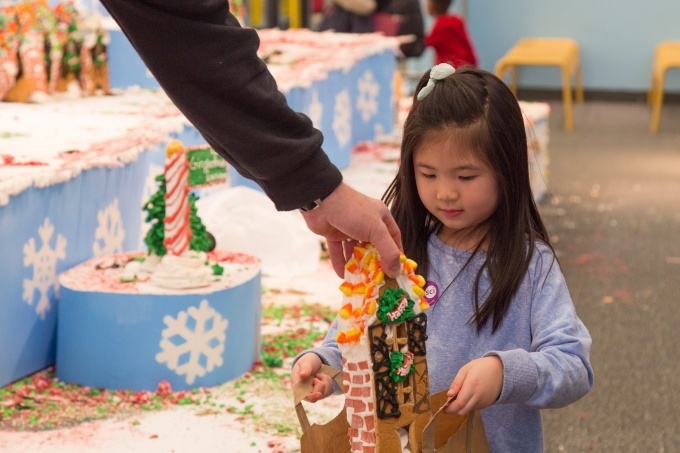 The New York Hall of Science will break down GingerBread Lane 2018 and give away chunks to the public on Monday, Jan. 21, from 2 p.m. to 5 p.m. The event is free with museum admission, and staffers will hand out the goodies on a “first-come, first served” basis until every crumb is gone. Cagey veterans will bring a large box or bag to take their sweet loot home. (Hint: Flat-bottomed shopping bags and paper grocery bags work best.) The line will start to form at the museum’s North Wing at 1:30 p.m., although there’s actually plenty to share. The edible metropolis — which won the Guinness World Record for largest gingerbread village in 2013, 2014, 2015, and 2016 — contains more than five tons of assorted candies, royal icing, gingerbread, candy canes, ginger, cinnamon, and nutmeg. Like any respectable mini-municipality, GingerBread Lane 2018 features residential houses, stores, factories, a church with a tall steeple, and even a sleigh shop (for Santa and his helpers, of course). Some rooftops are made with chewy, fruity gum drops, while others consist of jelly beans, licorice, and/or hard mint suckers. Icing provides great insulation, while chopped up candy canes are handy for building staircases and handrails. Part of an annual program at the New York Hall of Science, GingerBread Lane 2018 was installed on Saturday, Nov. 10, and it is currently on display in the central pavilion area. 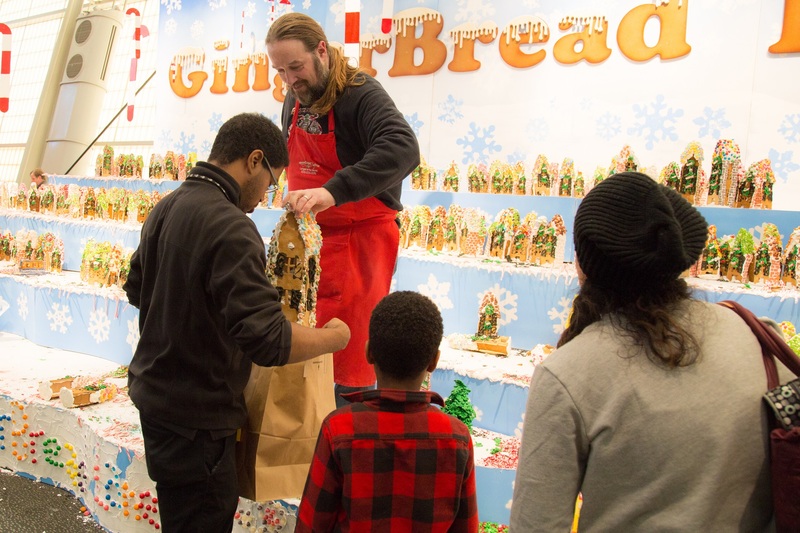 As part of the exhibition, the creator, Culinary Institute of America graduate Jon Lovitch, has been leading workshops on how to build gingerbread houses. The New York Hall of Science is at 47-01 111th St. in Corona. That cant be sanitary!!!! Hes touching it with his hands BARFFFFFFF!!!!! I’m going into a diabetic coma just thinking about it, LOL… I can’t wait!